I have been shopping around at different sites attempting to build my repertoire of film cameras. I finally retro fitted a battery set-up to get my ELECTRO working. The DIANA+ and the HOLGA seemed to be good inexpensive options and I also looked into a LOMO LC-A. Props to lomography.com for the great micro sites. Then I stumbled across a great design and a great (but unfortunately overpriced) idea. 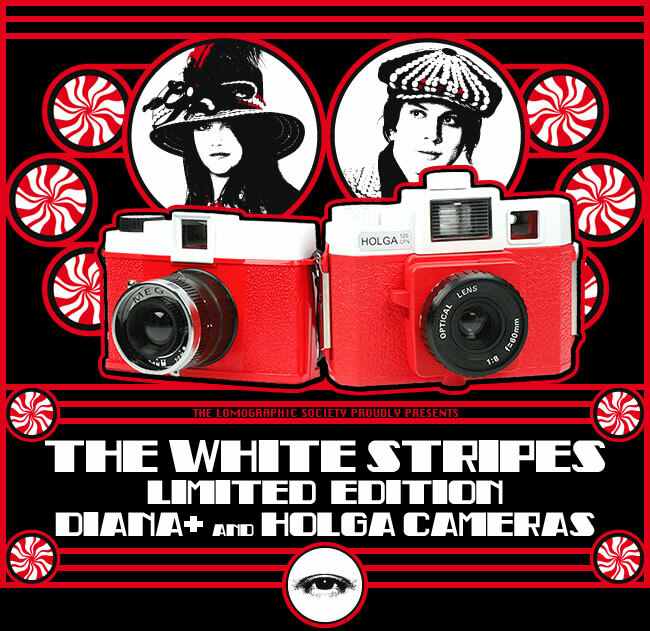 Limited Edition custom White Stripes camera packs. Custom filters, colors, packages, and a mean branding and marketing strategy with a unique web site rounds out a killer package. The only problem I can see is the price tag. Ringing the register at $180 for an interesting set with accessories for each camera included the cost is much greater than the regular cost for the holga color flash w/ fisheye or a diana+ with a ringflash. So you really are paying for the packaging and the total kit with the specialty white stripes incentives. Kudos to ROB JONES for the packaging design.